Loyalty is a big motivator—for some people, the biggest. It’s that special feeling of “belonging” that can drive employees to make special, extra efforts toward helping the team accomplish its goals. Make an investment in others. Some bosses simply tell their people what to do next. But more successful leaders emphasize one-on-one coaching instead. Work toward replacing step-by-step instructions with a higher level of guidance. For example, instead of saying, “Now enter the data,” try “We’re processing the data to produce a report now, so how do you think we should proceed?” Then provide the support and advice the employees need to master the task on their own. Demonstrate your own loyalty. Building loyalty is better accomplished by deed than word. Keep “team loyalty” in the forefront of your thinking and planning, and take every opportunity to demonstrate your loyalty. For example, make it a point to defend them from unfair criticism or power plays by outsiders, intervene when team members squabble among themselves, and offer help and understanding when a team member needs support. Keep team members fully informed. 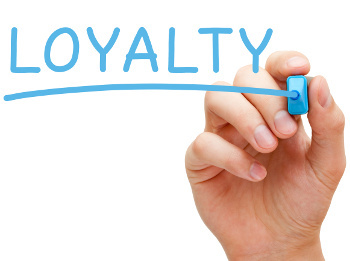 Loyalty thrives among team members who feel they’re a valuable part of the organization. That’s why sharing information fully and freely is one of the best ways to nurture loyalty. Keep them posted on breaking developments, organizational problems, opportunities, challenges and decisions. Ask team members for their best ideas and information. Because of their special expertise and vantage point on the front lines of your organization, your team members will naturally have a lot of good ideas and information. They’ll respond with extra loyalty to the supervisor who asks them to contribute to planning for better methods, newer technology, simpler procedures, less expensive materials, and so forth.